“My cat snores” Are you bothered by your cat's snoring? For most cat owners, it isn't the sound of their pet’s snoring that bothers them. But what they do want to know is - is it normal for cats to snore? 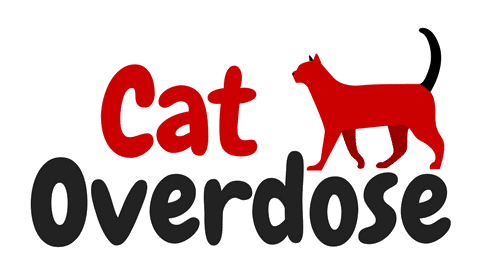 er if snoring is, in fact, inherent in a cat's nature, we will take a closer look at the problem so you will be able to determine the next steps to take. Many people snore and it’s pretty common among those who are tired or stressed out. In much the same way, cats who snore could also be just tired or stressed after a long day of playing. Then again, the pendulum swings both ways. Snoring in humans can be an indication of some underlying problem, and cats who snore may also be suffering from certain illnesses. Snoring is a result of audible vibrations created during breathing. This happens when the tissues of the upper airways become very relaxed. The so-called upper airways include the nose, throat, and the back of the mouth or pharynx. A relaxed state sort of loosens these muscles, making their vibrations audible when a person, or, in this case, animals, breathe. This is also why people snore when they are very tired. Others snore when they are obese or overweight. It has been noted that people who have excess weight tend to snore more because excess body fat has started to accumulate in their upper airways. Fat vibrates and creates sound, so it also another possible cause of snoring. Cats can become overweight and obese too. If you think about it, most cats are spoiled nowadays and always get treats from their humans. Living conditions can also be a factor. Cats who live in condos and apartments aren't as active as those living in homes with yards. Detached houses allow cats more room to exercise and behave like their usual selves. They are free to chase mice, walk around, play with other cats and socialize. Being cooped up inside a condo, or worse, in a cage, causes ﻿cats just to sleep all the time. They also eat more and gain more weight to the point that it’s already unhealthy. But if your cat isn't fat and she isn't tired or under a lot of stress, the snoring could be caused by upper respiratory infection. Cats develop colds too, and a snoring cat may be an indication that there is mucus buildup or congestion in her airways. If your cat is always outdoors, chances are she might have picked up a bacterial or viral infection. This eventually clears out in a few days, even without medication. More severe cases require a round of antibiotics. But when the colds and cough clear, the snoring goes away as well. Which Cats are More Prone to Snoring? Gentle snoring, while a cat is asleep, is considered normal and not a cause for concern. But when snoring is prolonged and seems to be worsening over time, you should watch out for other signs. First off, snoring has something to do with a cat's physiology and weight, and this is why some cats are more prone to snoring than others. While a breed or species may be considered as regular light snorers, some cats are just simply more prone to snoring than others. According to experts, Persian cats, as well as other short-nosed cats, are the ones who are most likely to snore. This is due to their short muzzle and palate. These cats are characterized as having squashed-looking faces. However, some short muzzled cats need to be checked by the vet to ensure that the alignment of the cat's head and the muzzle isn't the reason for its snoring. Overweight and sedentary cats (think Garfield) with excess fat in the neck area are more prone to snoring. Contrary to popular belief, fat cats are not an indication that they are well taken care of. Being overweight can be a sign that they are not moving as much as they should and that they are not being given proper nutrition. Cats with growths such as polyps are also prone to cat snoring. These growths may be found at the back of a cat's throat or in the nose area. These polyps need to be removed surgically. After it has healed, the snoring will eventually stop. Cats with asthma are more likely to experience cat snores. Humans may be allergic to cats, and the presence of felines may trigger asthma attacks, but cats too can be allergic to certain things. Spores and pollen may trigger asthma and cause a partial obstruction the cat's airways. Fungal infection in cats, is more worrisome. Apart from snoring, you should check your cat for other symptoms such as frequent scratching, blotchy skin, or lesions on the face and the body. Snoring may also be caused by foreign objects that been lodged at the back of your cat's mouth or nose. Coughing, sinus infections, and agitations are just some of the signs to look out for. So how do you know when it's time to worry? As a general rule, it is all right for cats to snore lightly during sleep. This light sound should be accompanied by slow and gentle breathing. But if the cat snore is accompanied by discomfort and labored breathing, then remedies may not be the best solution. Cases in which cats snoring becomes louder, deeper, and seems to progress should be considered as a sign of respiratory distress. These severe breathing problems can leave your cats breathing with their mouths open as well as breathing at a really rapid rate. Regardless of whether your cat is awake or asleep, you should take your cat to a vet as soon as you notice this. This is considered as an emergency situation, and your pet should be given treatment right away. The same holds true when you notice your pet trying to remove something that may have been lodged in her nose or throat. The object may be small and inconspicuous, but it can be obstructing your cat's air passage and causing her to have difficulty in breathing. In this case, the snoring sound could be caused by your cat trying to breathe with her mouth open. If you see your cat doing this, bring her to a vet clinic as soon as you can. It is normal for cats to snore lightly while they are asleep, but deeper and labored breathing may cause cats to snore loudly – sometimes even while they are awake. If you notice your pet is snoring loudly or if her snoring is getting worse, take her to the vet as soon as you can. Or at least, give your vet a call. Does your cat snore? If so, what remedies have you tried to fix the problem? Please share your thoughts and ideas in the comments section. Do Cats FART? If So, What are the Causes of Smelly Flatulence in Cats?